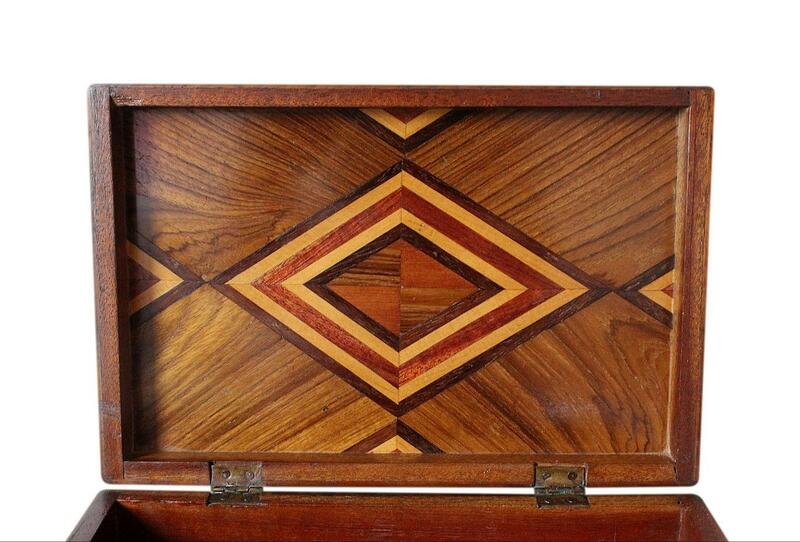 This is a beautiful Art Deco jewellery box, dating to the 1930s. 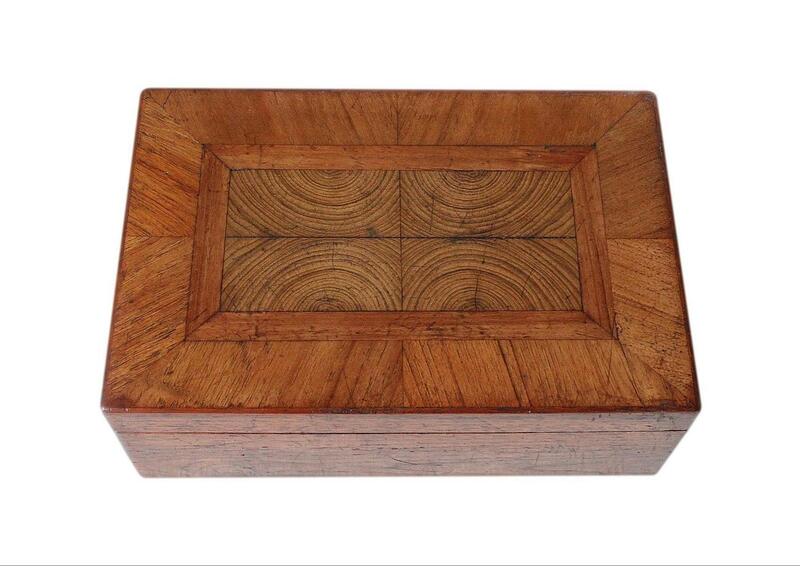 This lovely old box is veneered and inlaid with a variety of woods. 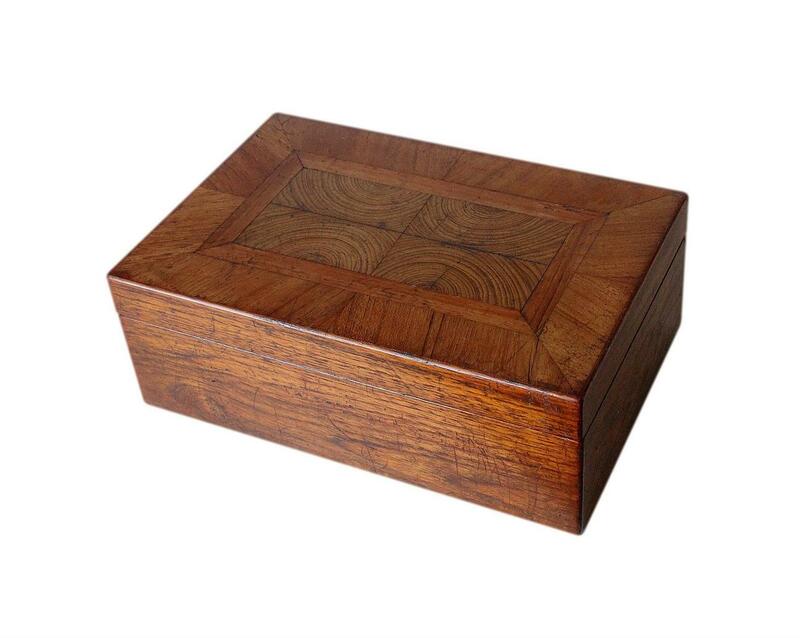 There is an inlaid Walnut feature to the centre of the lid which has a beautiful symmetrical design. 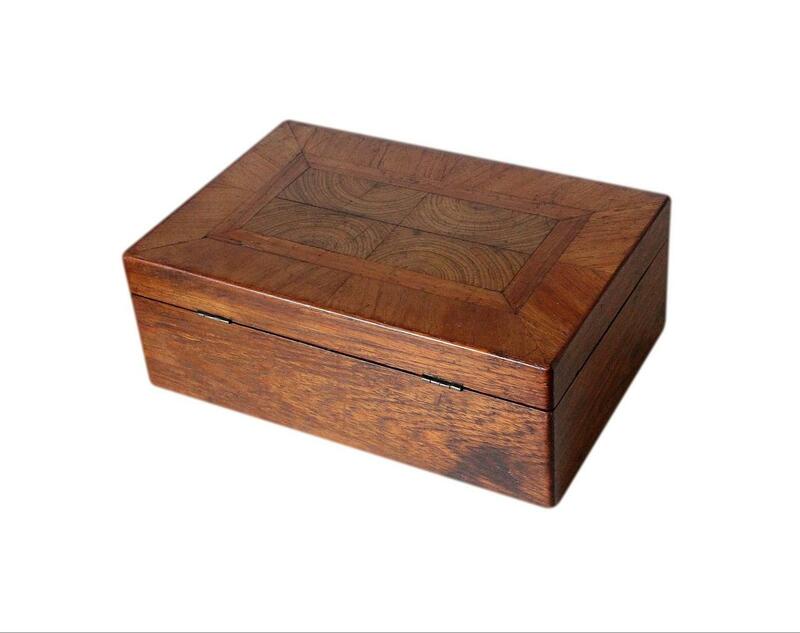 The box is complete with its original hinges which are still in very good working order. 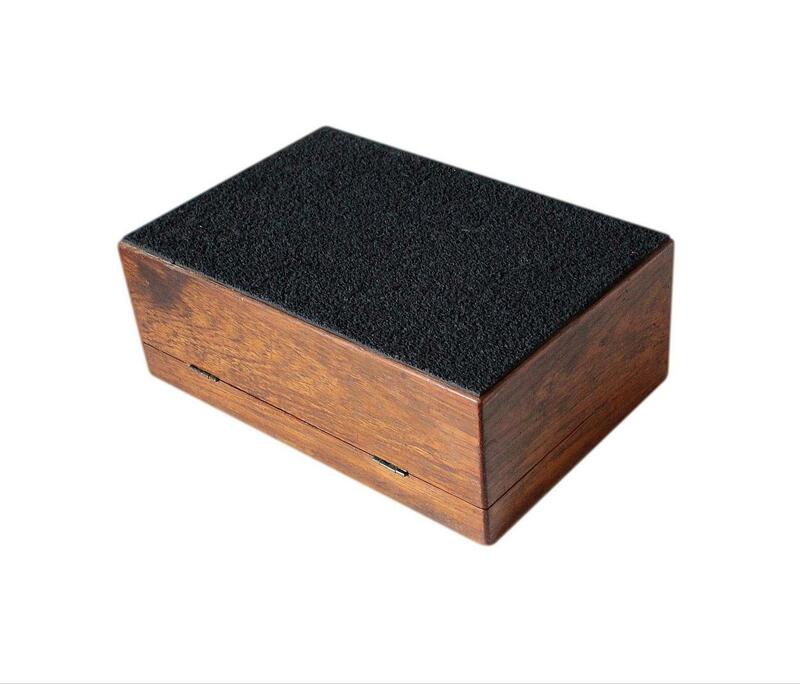 The bottom of the box has a new black felt covering which will protect the surfaces of furniture. 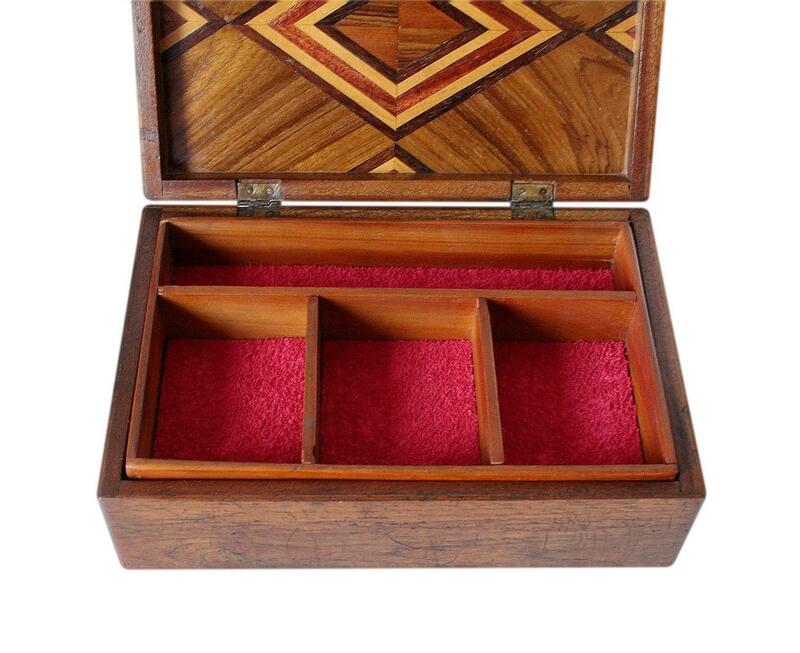 The interior is complete with its original storage tray and beneath this is a further storage compartment. 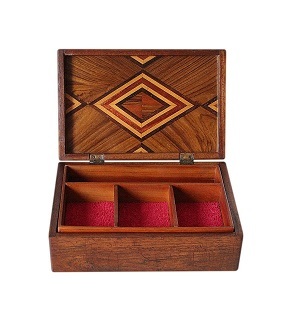 The tray has four compartments of various sizes. The narrow rear compartment is the ideal shape and length for laying out chains. 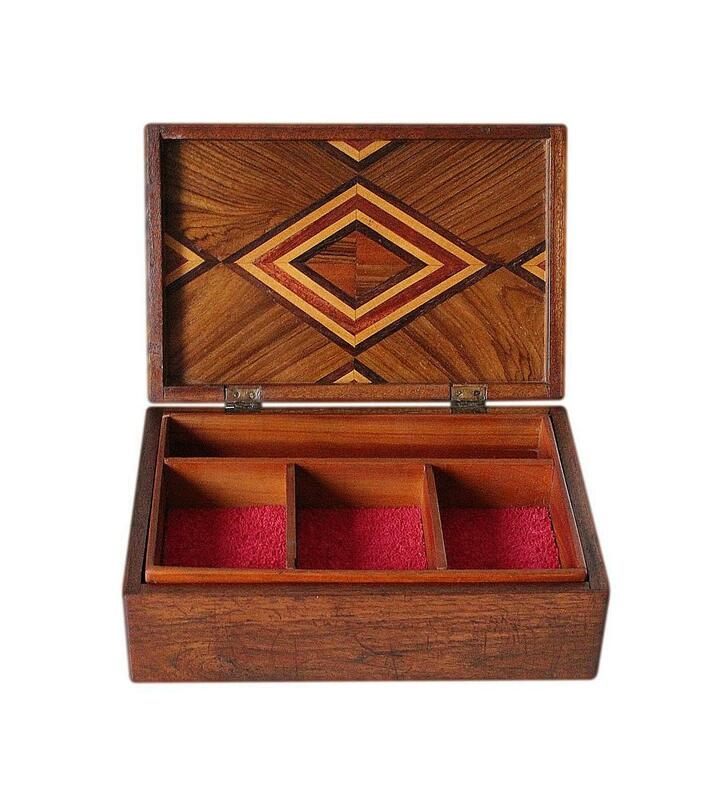 The front three compartments are the ideal shape and size for bracelets, narrow bangles, pendants, brooches, rings and earrings. 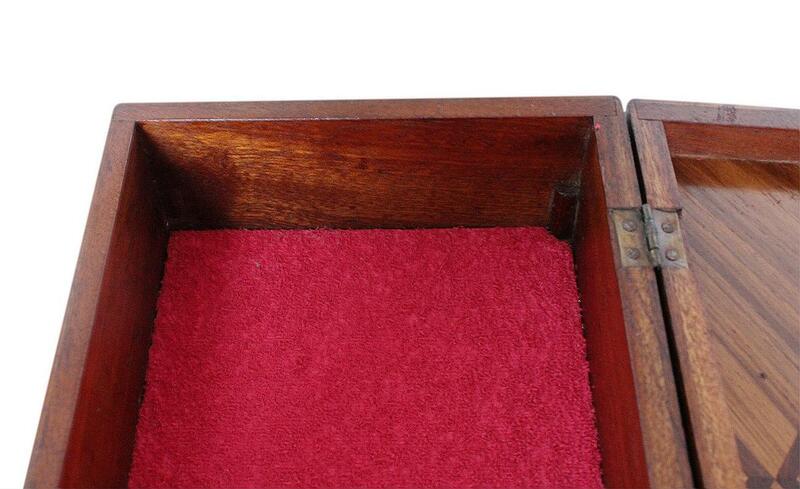 The storage tray and lower compartment all have new cushioned red felt linings. 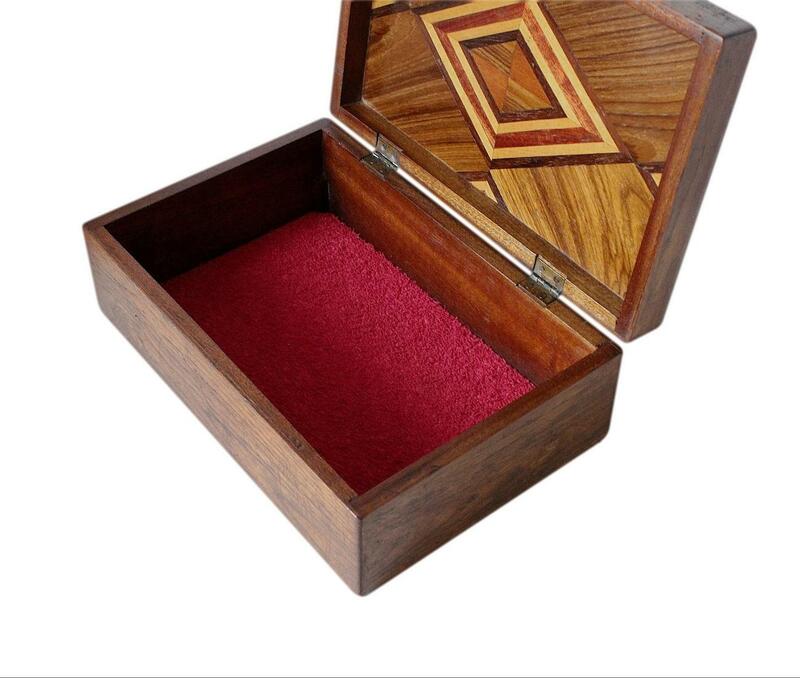 The inside of the lid has a stunning inlaid feature, made up of many colourful varieties of wood. It has 4 individual panels which have been beautifully positioned to create a striking symmetrical diamond pattern. A wonderful skilled piece of craftsmanship! This box is in lovely condition for its age. 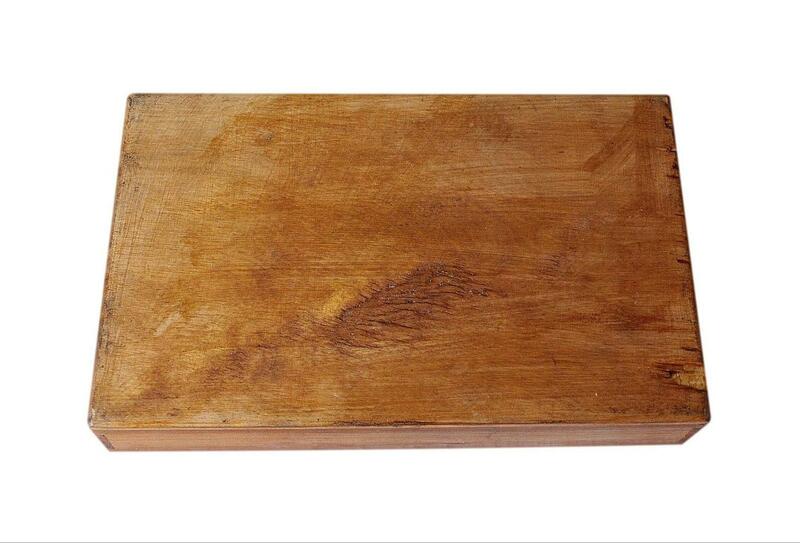 It has honest superficial wear and light scratches as we'd expect on a box that has been loved and used for its purpose. The base of the removable storage tray has some fine splits and chips. These do not affect its function. Please enlarge the image of this to view these flaws in detail. One of the corner pillars in the base compartment is missing but the remaining three function well enough to hold the storage tray in good position. The felt linings/covering, being new, are in excellent clean unused condition. 21.0 by 4.0cm with a 3.0cm depth. 8.5 by 7.0cm with a 3.0cm depth. 22.2 by 14.0cm with a 2.5cm depth.